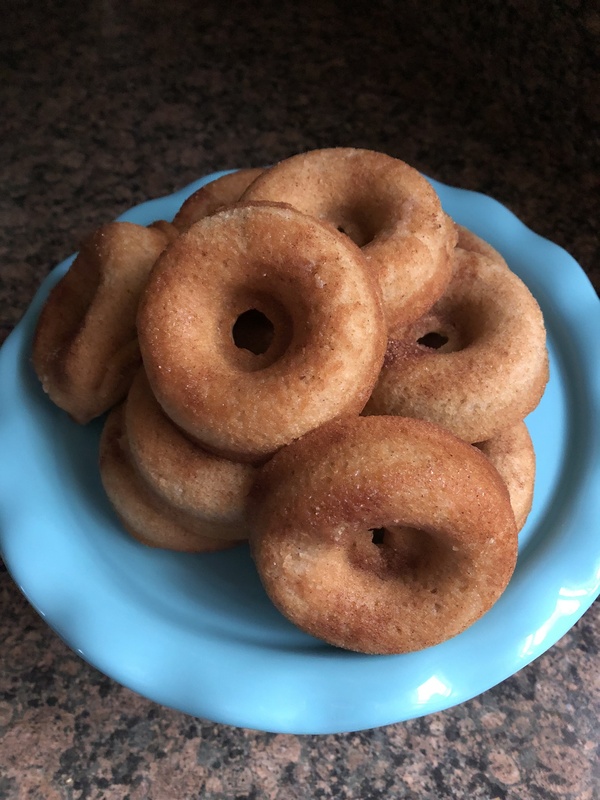 I love Apple Cider Donuts! I first had them years ago when I went apple picking in upstate NY and now you can find them anywhere and everywhere. The best one’s I’ve had are from Wilklow Orchards in upstate NY and from Wooside Orchards out on the North Fork- their hard cider is good as well. I’ve also had some bad ones, but, we won’t get into that. I did try to recreate them at home last year, but, it was a fail. 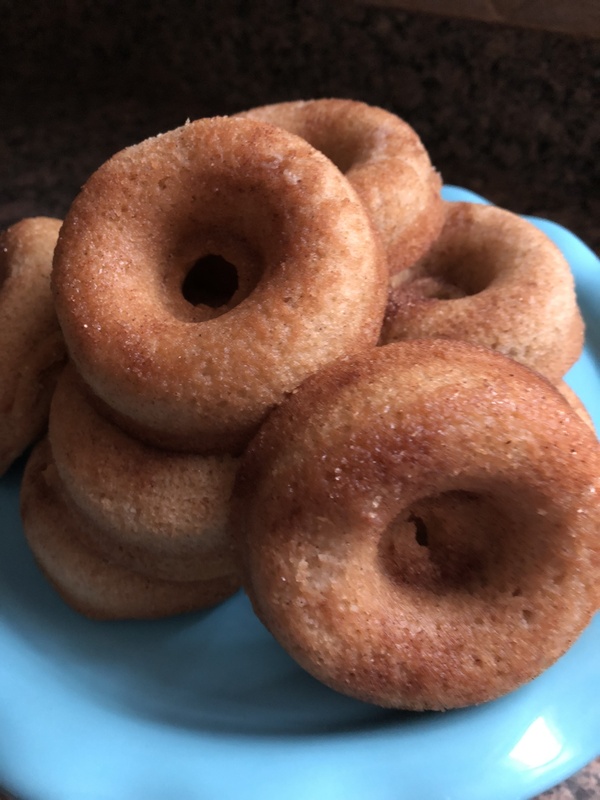 I tried again this year, but, instead of donuts I made fritters and they were DELISH! The only problem… It’s easier to mindlessly eat a ridiculous amount of fritters than it is donuts. Whisk together the flour, sugar, baking powder, salt, cinnamon, nutmeg, cardamom and all spice in a large bowl. In another bowl stir together the apple cider, eggs, butter and vanilla. Add the apple cider mixture to the flour mixture and stir until combined. Combine the sugar and cinnamon for the coating in a shallow bowl. Pour the oil in a Dutch oven or another heavy bottom deep pot and heat over medium heat to 360 to 370 F. Using a cookie scoop, drop the batter in the hot oil. Fry until golden brown, 1 to 2 minutes per side. Transfer to a plate lined with paper towels to drain. 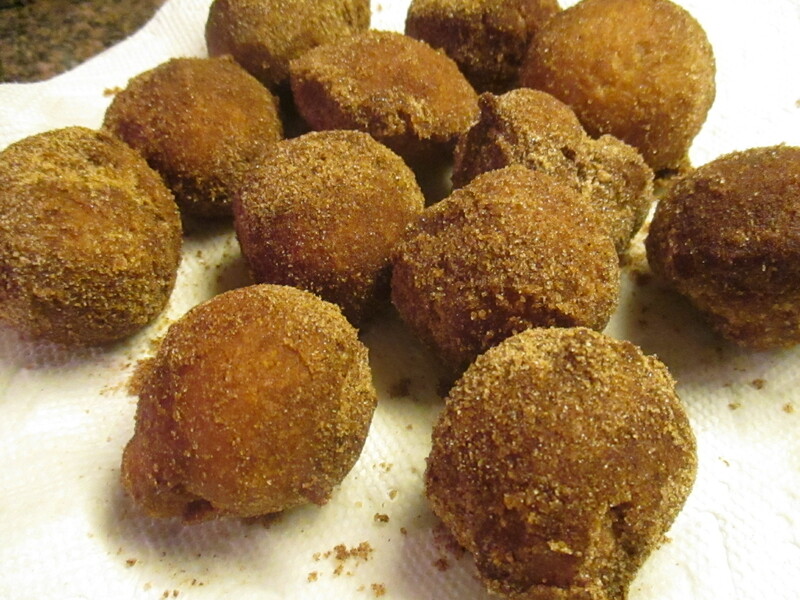 While still warm roll the fritters in the cinnamon sugar and enjoy!